For years, we at Blume Forte Fried Zerres & Molinari have shared information on our case victories and firm news through a regularly-published newsletter. Clients, past and present, and referring attorneys have always shared positive feedback on the piece. It allowed us to stay in touch and share updates that may not always enter into our regular communications or personal interactions. In this, the premiere edition, we’ll share news on recent and retrospective case successes, information on our expansive and growing referral network, community and business news, practice tips, and more. We hope you find this content valuable both professionally and personally as part of our ongoing relationship. Relationships are everything to the attorneys of Blume Forte, because at the core of those relationships is one thing: trust. Trust that we bring skilled advocacy, creativity and aggressive representation to each case. Most importantly, trust that we will strive for the maximum recovery possible every time. Thank you for your trust in the firm. We look forward to working with you in the future. During the past five years alone, and including only those matters where there have been recoveries in excess of $350,000, our NJ attorneys have obtained more than 320 million dollars in significant verdicts and settlements for our clients. With nearly 6.5 million automobile accidents in the U.S. each year, there is a significant likelihood that you will eventually be involved in one. Don’t opt for a quick settlement through your insurance company. They may not provide the compensation to which you are entitled. An experienced auto accident attorney can provide advice on the true value of your claim. This includes damages surrounding lost wages, rehabilitation and medical treatment related costs, the costs of potential future medical care, and pain and suffering claims. Your own records – from medical bills to photos of the accident – can assist your attorney in securing appropriate compensation. With more million-dollar settlements than any other New Jersey law firm, Blume Forte has handled thousands of cases for injured victims. Known for our extensive experience, and aggressive strategy, we’re committed to protecting the rights of our clients and getting them the compensation they deserve. Specialties in the practice of medicine are as diverse as the conditions treated. However, there are standards of treatment that must be followed. When a healthcare provider negligently deviates from those standards, there may be medical malpractice. Delayed or incorrect diagnosis or treatment, surgical mishaps, birth defects or injuries, and more can constitute medical malpractice. If a healthcare provider commits medical malpractice, and their negligent treatment causes the patient to sustain an injury, a civil lawsuit may be brought to seek monetary damages for the patient’s and/or family’s losses. 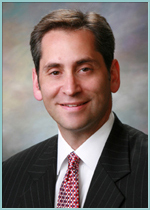 Blume Forte handles more medical malpractice claims than any other law firm in New Jersey. Our experience coupled with the knowledge of an in-house physician and three Registered Nurses on staff, as well as the resources to research, investigate and litigate successfully, allows us to consistently produce the best possible results for our clients. As thousands of Americans discover each year, reputation and regulation don’t always guarantee a product is safe. From medications to chain saws, bicycles to toaster ovens, products have defects that may result in serious injury. A failure to properly protect a product’s user from harm, or warn a consumer of potential dangers, may constitute product liability. New Jersey law imposes strict liability on manufacturers for the injuries their products cause. You may hold companies liable for an inherently faulty design, flaws or contamination introduced during manufacturing, inadequate safeguards, shortcomings in warnings and/or instructions. You can be awarded compensation for a serious injury, permanent disability or wrongful death, as well as to compensate for medical bills, lost wages, and other costs. Call upon the experienced team at Blume Forte. In the past five years alone, we’ve secured $320+ million in settlements for our seriously injured clients. Slipping on ice, getting bitten by a dog, crashing your car because you couldn’t see past some overgrown foliage…these are common hazards you could face. Property hazards can result in car crashes, serious falls, dog attacks, toxic exposure and violent crimes. If you were hurt because a property owner failed to fulfill these duties, you have the right to hold them responsible. At Blume Forte, we have nearly eight decades of experience securing compensation for serious injuries, including $320+ million for our clients in the last five years alone. The birth of a child is considered one of the most joyous events in one’s life. However, when an injury or complication occurs during labor or delivery, it also can be one of the most stressful. Whether it’s a normal delivery or a complex one, healthcare professionals must follow the accepted medical standards. Failure to do so may result in medical malpractice, putting the fetus/child at risk for brain injury, nerve injuries, soft tissue tears/fistulas, sterility, and even death. Proper monitoring and correct diagnoses of both mother and child are integral to the provider making the correct treatment decisions (including whether a C-section delivery is needed and its timing). This includes treatment after the baby is born, and in the care of the neonatologist or pediatrician and nurses. Blume Forte has New Jersey medical negligence attorneys with particular knowledge in cases involving labor, delivery and neonatal care medical malpractice. Workplace accidents can have a devastating impact on one’s life. Not only might you become seriously injured, you might never be able to work at the same occupation again. That’s why you may be entitled to file for compensation for medical costs, physical pain and suffering, disability, job retraining, and in the case of a fatality, family members may seek pecuniary losses as a result of wrongful death. It’s in your best interest to hire an experienced legal team to ensure that you receive just compensation—especially because workers’ compensation benefits alone may not be enough to cover your financial burden for the long-term. A thorough and timely investigation can make all the difference. At Blume Forte, our team has recovered more personal injury million-dollar settlements than any other firm in New Jersey. We utilize private investigators and qualified technical experts to evaluate our client’s claims, and to help establish fault. When a patient had serious complications after gastric bypass surgery, the hospital staff didn’t realize what was happening. Over the course of a weekend, the patient ended up requiring repeated surgeries and prolonged hospitalizations at several different hospitals, resulting in millions of dollars in medical bills. The defendants refused to admit that the charges were reasonable and necessary for proper treatment of her medical condition. This created an issue as to how those charges would be admitted into evidence at the time of trial. We obtained an expert in the field of healthcare billing practices to compare these charges to what other hospitals and physicians in the same geographical area would charge and secured a $7,700,000 settlement for the client. 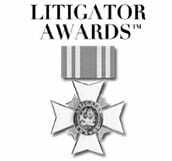 Only a single lawyer in each practice area and designated metropolitan area is honored as such, making this accolade particularly significant. Inclusion in “Best Lawyers” is based entirely on peer-review and more than 6.7 million detailed evaluations of lawyers by other lawyers. 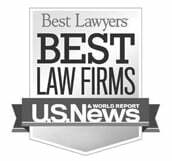 Founded in New Jersey in 1929, Blume Forte was named the 2015 Top Medical Malpractice Earner for the past five years by the New Jersey Law Journal. 1029: After attending law school at night, at the age of 25 and at the beginning of the Great Depression, Charles Blume establishes a law practice in Newark, New Jersey upon his graduation from the University of Newark Law School. A 46-year-old woman who was being treated for ongoing neck problems, and had a cervical fusion eleven years earlier, was struck from behind by another driver. The accident aggravated her neck injury, resulting in two additional cervical fusions. We demonstrated how the impact – depicted in photographs as minimal – produced a serious spinal injury that permanently disabled her from working and obtained a $1,624,000 settlement. Blume Forte hosts educational programs each year that not only benefit our colleagues in other firms with continuing legal education credits, but provide valuable networking connections. Would you like to be added to our CLE invitation list? Email your fill contact information to [email protected]. Many of these potential claims require timely service of Tort Claim notice and exhaustion of administrative remedies, affidavits of merit by like-credentialed experts, preservation of the vehicle, its components and its “black box” data, coordination of payment for medical expenses and governmental benefits, and the prompt and efficient investigation of witnesses, physical evidence and video footage. These types of complex cases require knowledge, skill and experience– qualities that the attorneys at Blume Forte bring to bear in representing our clients. A patient in an intensive care unit required a ventilator to breathe. When the electrical power went out in the ICU and the emergency generator came on, the ventilator did not turn back on; neither did the central nurses’ station alarm. The nurses were unaware that the patient’s ventilator was not functioning, and he died before this was recognized. We worked with a biomedical engineer with experience in emergency backup solutions for hospitals, who determined that the backup power system was not properly wired and that certain equipment in the unit was not integrated into it. We obtained a $1,600,000 settlement in the case. Partner Kenneth Elwood along with assistant Ely Del Sol-Revuelta, presented a check to Dr. E. Hani Mansour for the St. Barnabas Burn Foundation. The donation was made on behalf of a client, Benjamin Schmidt, who suffered second and third degree burns to 20% of his body as a result of an explosion accident at work. After receiving substantial treatment by the burn center at St. Barnabas, the client asked the firm to make the donation in grateful recognition of excellent care provided. Jeff Zenna recently delivered a lecture to fellow attorneys for the New Jersey Institute of Continuing Legal Education, the educational division of the New Jersey State Bar Association. The topic was “Tips on Avoiding Legal Malpractice. This year, Carol Forte was selected as a Lifetime Achievement Award honoree by the New Jersey Law Journal and was also given the New Jersey Association or Justice Gerald B. O’Connor Award, an award that celebrates attorneys who earn the respect of their colleagues through skill, professionalism and humanity. In a recently-published New Jersey Law Journal supplement, Blume Forte was responsible for four of the reported Top 20 Personal Injury Awards of the Year, more than any other firm on the list. Blume Forte had three cases listed in the 2015 Top Verdicts and Settlements in New Jersey special report, published by the New Jersey Law Journal. Partner Mitch Makowicz and his family regularly participate in the Saint Joseph’s Soup Kitchen in Elizabeth, NJ, through the collective outreach of Saint Agnes Church in Clark, NJ and a number of other churches of various religious denominations. The churches assemble teams of volunteers to serve hot meals to the needy and underprivileged on a rotating basis every Saturday. Saint Joseph’s also collects donations of food from local businesses, as well as clothing and shoes, for distribution to the needy. Attorney Cynthia Craig is a volunteer Guardian Ad Litem (called “CASA” in NJ) for medically needy children in foster care, and a GAL mentor. She is also the court-appointed trustee of a special needs trust for one of those children. Legal assistant Margaret Russo volunteers every Monday night and at events throughout the year at Menlo Park Veterans Hospital. She also contributes time and talents (cooking, fundraising, coordinating donations) for the several VFWs in the state, giving hundreds of hours of time each year. Additionally, she has taught religious education to young children for over 30 years. Blume Forte paralegal Andy Colon (standing, green shirt), traveled to Mozambique, Africa this summer to help build four churches in rural communities. Look for more examples of fine citizenship from the Blume team in future issues!